The construction sector is recognised as having some of the highest risk occupations when we consider potential health and safety issues. Therefore, consideration must always be given to those potential high risk activities on a construction site, and working from heights is a high risk activity. 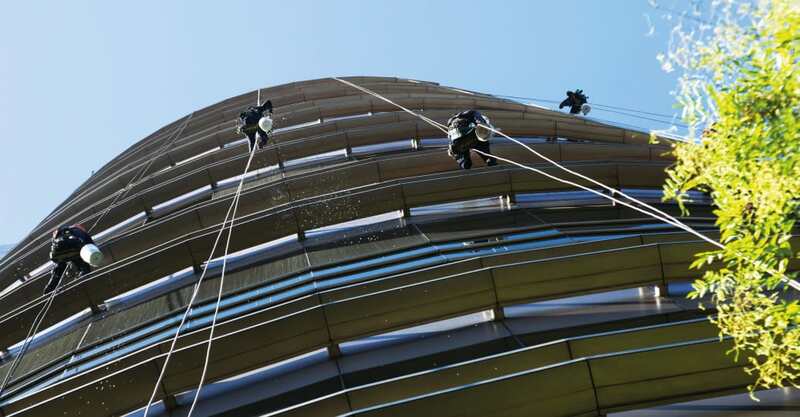 The first step to minimise risk of incidents is to understand the enacted legislation, which guides companies on best practice to protect their employees from the dangers of working from height. Globally construction injuries and deaths account for over 30% of workplace accidents, and of those accidents researchers have estimated that close to 50% of accidents are related to working from height. Working from height poses additional risks to construction workers, and a thorough understanding of how to prevent these accidents is critical for every company. Within the Gulf, the United Arab Emirates (UAE) is no different and although there are no published statistics, experts have indicated that the global estimate of around 30% would be consistent with the Gulf region. Unfortunately, given the higher risks associated with working from height, the extent of injury and likelihood of a fatality is also increased. As the UAE is home to some of the world’s tallest buildings, construction companies based in the UAE have had to ensure that they have rigorous training for their teams, updated health and safety policies and procedures in place to ensure the legal requirements are met, as well as the safety of their workers, and of the site surroundings when working from heights. Thankfully, in the UAE there is legislation that adequately guides employers through the standards, and this article sets out the standards applicable across Dubai and Abu Dhabi, the largest two of the seven Emirates within the UAE. Although the UAE does not have a set of standalone laws addressing health and safety requirements, health and safety professionals understand that obligations are set out across various laws and regulations and Codes of Practice implemented at both the Federal and Emirate level. This article considers Federal UAE law, which applies across the board, as well as the laws of the Emirates of Abu Dhabi and Dubai specifically. 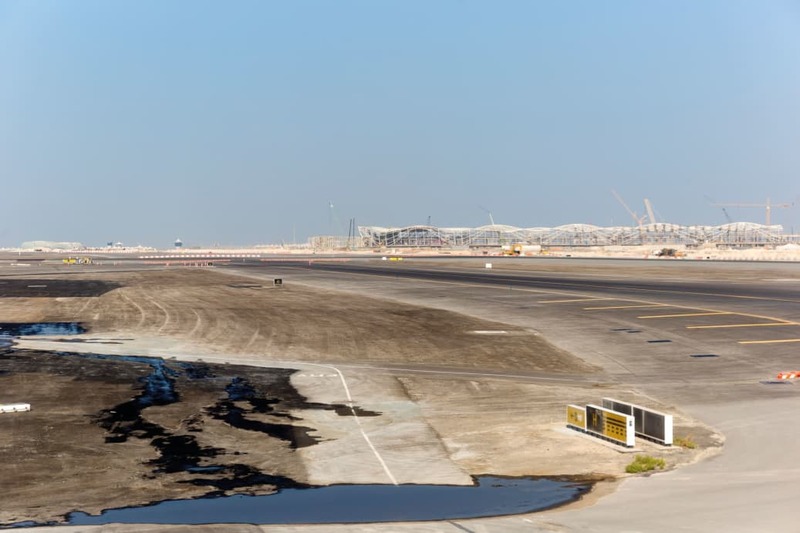 If a construction project is undertaken in another Emirate, however, then it will be important to understand if that particular Emirate has enacted additional legislation. Article 100 continues: “Every employee shall comply with the instructions and orders respecting industrial and personal safety precautions, use the necessary protective devices and treat any such devices in his possession with due care. It shall be unlawful for an Employee to commit any act leading to noncompliance with such instructions, to the misuse of the equipment provided for protecting the health and safety of the employees or to the damage or destruction of such equipment”. Part VIII of the Labour Law addresses compensation for occupational injuries. Like the earlier sections of the Labour Law there is a division of responsibility between employer and employee. Article 144 of the Labour Law states that where an employee is injured at work the employer must pay for the employee’s medical treatment, continue to pay wages and, if the employee is certified as disabled or dies, the employer must pay compensation. However, if it is found that an employee contributed to their injuries; for example, by not wearing safety equipment provided to them, or ignoring direct instructions from their supervisor, the court has the right to limit the damages payable or forfeit them altogether (in accordance with Article 290 of the Civil Transactions Law, Federal Law No. (5) of 1985). (v) “In relation to construction (1) Scaffolds and walkways must have adequate width allowing the employees to safely pass without any risk of falling. In addition, scaffolds and walkways must be enclosed with side barricades if they are up to eight metres from ground level and Employees must also be provided with belts to protect against falling and it must be ensured that they are steadily fixed in place; (2) Workplace floors must be fenced, if the nature of such work requires ascending upwards, and interspersing openings of roofs shall be fenced or covered in such a way as to prevent persons or things falling therefrom; (3) Sturdily protective shields that are adequately wide and appropriately high barricades shall be provided for the protection of the employees and/or passers-by from falling objects”. Because the Labour Law and the Hazards Regulation requires all workplace injuries and deaths to be reported to the Police, investigations will be undertaken by the Public Prosecutor. In the event that the Public Prosecutor finds fault at the hands of another employee then the Penal Code (Federal Law No. (3) of 1987 regarding the Penal Code) permits imprisonment of that employee as a penalty. Personal liability may also be established against individuals responsible for safety generally and/or a medically trained individual(s) who chooses not to assist an injured fellow employee (Articles 342 and 343 of the Penal Code). The Emirate of Abu Dhabi has developed an extensive regime of occupational health and safety regulations, applicable to all projects in Abu Dhabi. The Abu Dhabi Occupational Safety and Health System Framework as well as The Abu Dhabi Emirate Environment, Health and Safety Management System (EHSMS) was developed to reinforce the Federal Law, and is an important development in the UAE. The AD EHSMS was developed at the direction of the Abu Dhabi Government to manage environment, health and safety issues through the use of a framework that assists entities, in government and private sector, to identify, control and reduce workplace risks. In order to implement the system the EH Committee targeted seven areas for improvement – of which ‘Building and Construction’ was one. Decree No. (42) of 2009 concerning AD EHSMS was issued in order to implement the AD EHSMS. Two sector specific regulatory authorities were created to implement the AD EHSMS in relation to Building and Construction: (i) the Department of Municipal Affairs for the Building and Construction Sector (the “DMA”); and (ii) the Health Authority in Abu Dhabi for the Health Sector (“HAAD”). The AD EHSMS incorporates mandatory features of relevant international EHS standards and requirements. OSHAD (the Abu Dhabi Occupational Safety and Health System Framework) was launched in 2008 as a ‘risk-based system’ structured around international standards and best practices, and was designed to create a unified set of standards for both government and private entities to provide safe and healthy workplaces for their employees. The OSHAD is divided into multiple Codes of Practice, numerous of which are relevant to this topic: (i) Code 22 – Barricading of Hazards; (ii) Code 23 – Working at Heights (“Code 23”); and (iii) Code 26 – Scaffolding. 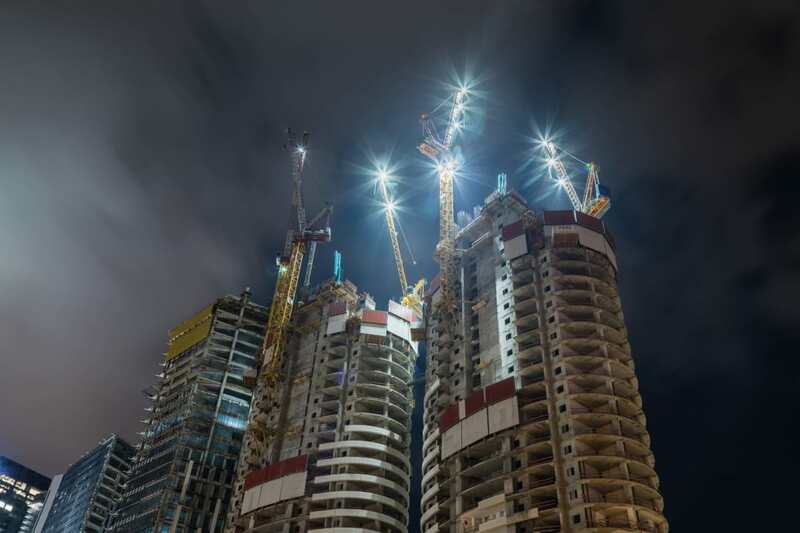 Of these three specific codes, Code 23 is the most relevant and can be seen as the key legal regulation when working at height in the Emirate of Abu Dhabi. Section 1(c) of this document states that it addresses: “(i) existing places of work and means of access for working at height; (ii) fall prevention; (iii) guardrail systems; (iv) safety nets; (v) roof works; (vi) ladders; (vii) tower cranes; (viii) fall arrest systems; (ix) working platforms”. The DMA (Department of Municipal Affairs) issued the Abu Dhabi International Building Code in 2013 (the “2013 Code”). Chapter 33 of the 2013 Code sets out safety requirements during construction and demolition of buildings and structures. The chapter focusses on protection of members of the public and adjoining structures during a construction process, and it sets out rules regarding items such as walkways, barricades and railings. HAAD published a height aware procedure and training manual for occupational health and safety professionals and supervisors which notes that “falls from heights and falling objects are the leading cause of fatal injuries on worksites causing almost 50% of fatal injuries”. The procedure and training manual is designed to assist health and safety professionals and supervisors in the implementation of safety procedures for working at height. The manual provides a run-through of the definition of ‘working at height’, how to prevent people and objects falling from heights as well as best construction practices to prevent height related injury. The manual and accompanying videos are available online and can be used to support the multicultural workforce with the documents also provided in many languages. The Dubai Municipality (Public Health and Safety Department) oversees health and safety regulation in the Emirate of Dubai. Like the Emirate of Abu Dhabi it has developed a number of local regulations and orders to supplement the Federal regime. Chapter IV of the Local Order (Dubai Local Order No. (61) of 1991) provides for the regulations of professional health and safety. Article 38 places a number of obligations on the Employer including “To ensure that the workers... use the protective devices allocated for his safety along with their availability on a continuous basis”. Article 39 places counter-obligations on the employee in the manner set out in the Federal Law. Relevant Guidelines (from the Public Health and Safety Department Guidelines) have been released in two documents: (i) in respect of Personal Protective Equipment – Fall Protection / Safety Lines under document number DM-PH&SD-P4-TG14; and (ii) in respect of Rope Access Work under document number DM-PH&SD-P7-TG07. The first of these Guidelines notes that the Local Order creates obligations where workers operate in elevated workplaces. The Guidelines can be seen as a practical paper aimed at informing relevant parties what steps they need to take on their worksites in order to meet the obligations placed on them by the Local Order. The Guidelines are too lengthy to repeat verbatim, but contain 12 points addressing use of safety belts, toe boards, pole belts, anchorage points, safety harnesses and related topics. The second of these Guidelines addresses situations where access to building exteriors for cleaning and maintenance purposes is required. 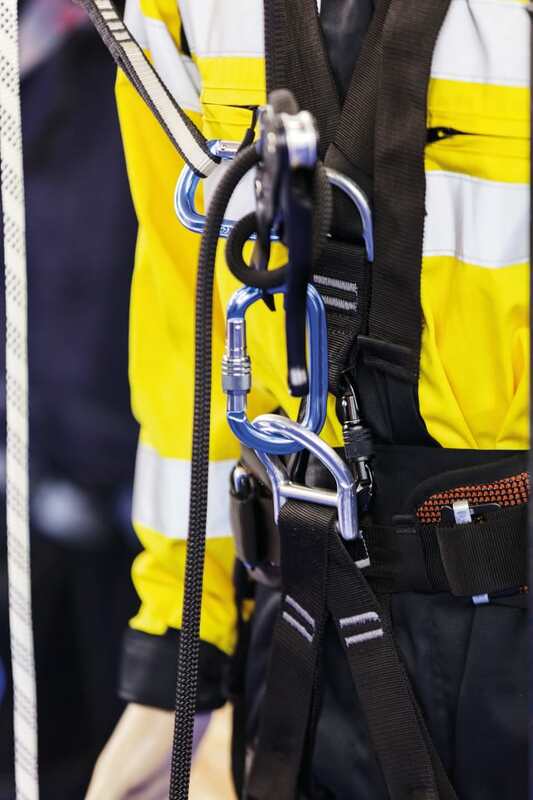 Again, the Guidelines are too lengthy to set out verbatim, but they contain 10 points addressing managing and planning access, personnel, equipment, working methods, types of rope and rope access methods. The CSP (The Dubai Code of Construction Safety Practice) does not contain a chapter that specifically addresses working at height. Various sections of the document need to be considered in order to establish the requirements. For example, chapter 4 (sections 4-2-8 and 4-2-9 respectively), addresses safety belts, lifelines and lanyards, and safety nets. Section 4-3 deals with working over or near water. In addition to these specifically relevant sections other chapters of interest include: chapter 2 – General Health and Safety Provisions; chapter 8 – Scaffolding Safety; chapter 21 – Sling and Rigging Equipment; and chapter 22 – Cranes. 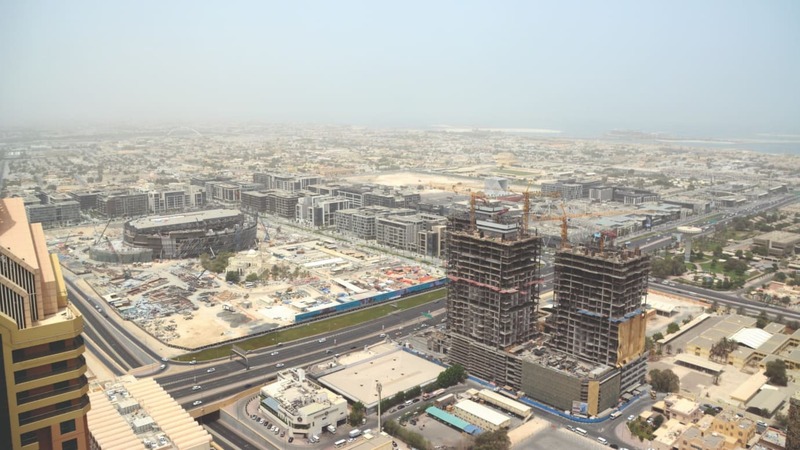 Regulations addressing working from height, and preventing objects falling from height are of paramount importance to all companies operating in the construction sector, whether they are based in the UAE or globally. However, the regulations alone cannot change an individual’s behaviour, and only an improvement in the safety culture through the ongoing training and implementation of applicable robust policies will lessen the risks associated with working from height accidents. Every jurisdiction will have some form of legislation, but the most recognised means to reduce working from height injury is comprehensive and thorough training of all staff.